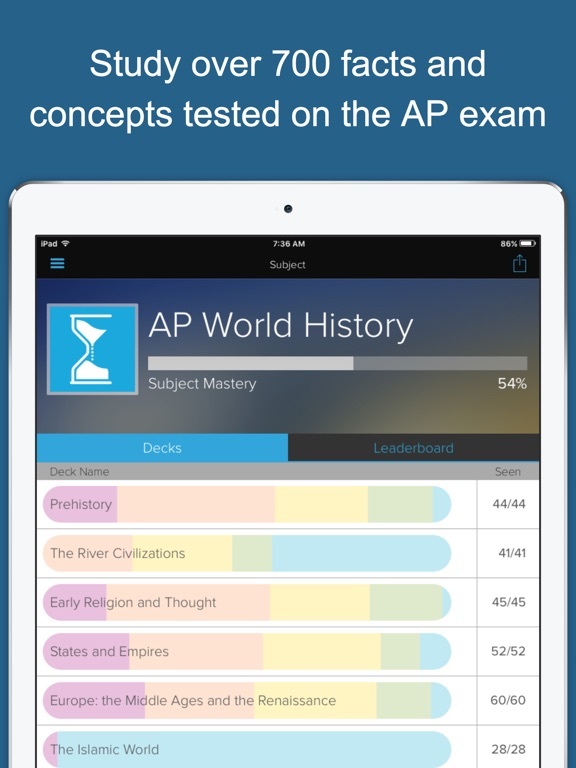 Optimize your study time for the AP World History exam by using Brainscape’s AP World History Exam Prep. 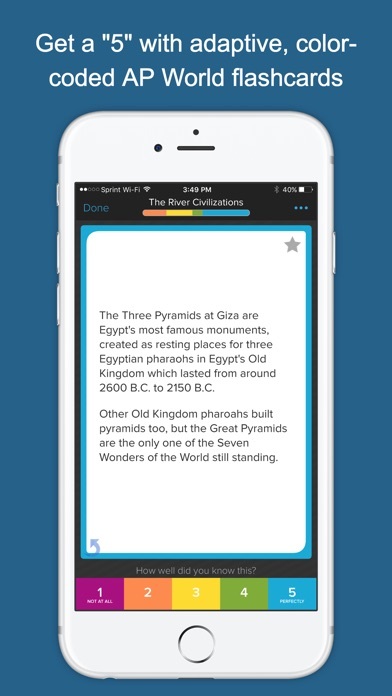 Brainscape’s 700+ dynamic flashcards, covering the prehistory period to modern times, present a highly effective, efficient, and fun way to study for one of the most demanding AP courses you will take. 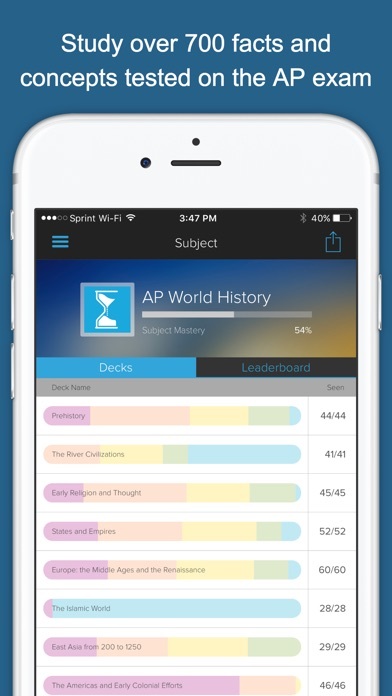 We have conveniently organized card decks according to the College Board’s AP World History topical outline so you know you are covering all your bases! 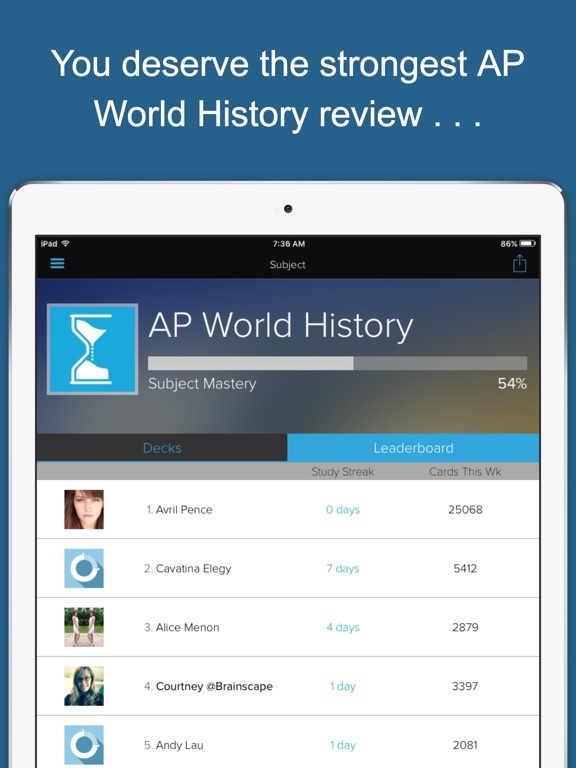 And AP World History Exam Prep is more than just a set of facts and definitions; we also present the context and significance of many important historical events. 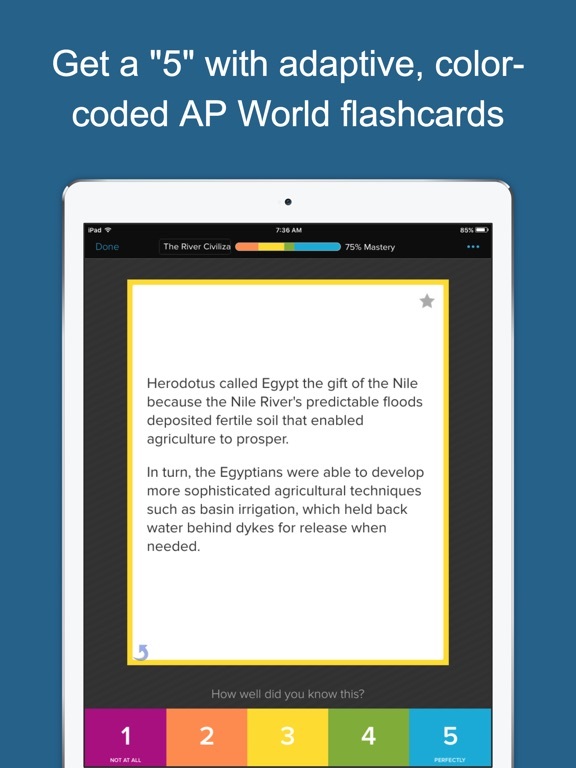 Whether you want help with your history homework and quizzes, or want to do a comprehensive review for the AP exam, these flashcards will put the most important facts and concepts of world history at your fingertips. Study by time period, or with a randomized mix; search for specific names and events; check your stats to track your progress -- it’s up to you! 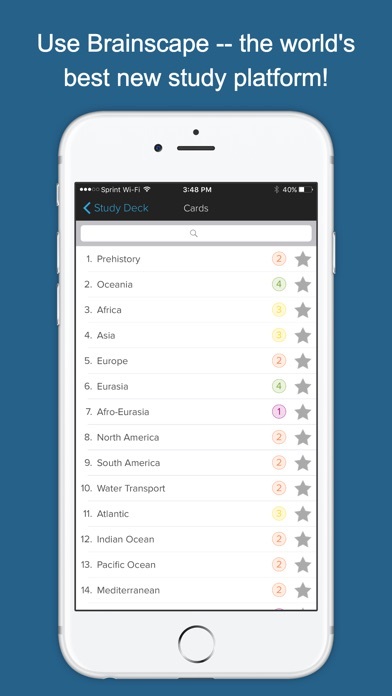 Research shows that quizzing yourself is one of the best ways to study. 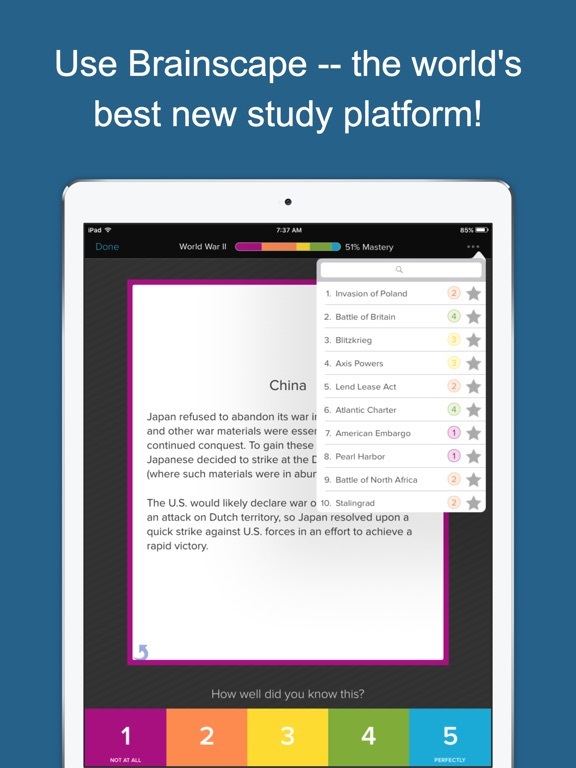 Brainscape’s adaptive platform lets you immediately diagnose weak areas (which will repeat more frequently as you study) and avoid over-studying already strong areas (which will be sorted out for you). It also tracks your overall success throughout. This won't completely replace your books -- but it will help you memorize the most important facts, people, and events you need to know for the multiple choice and essay portions of the AP exam. 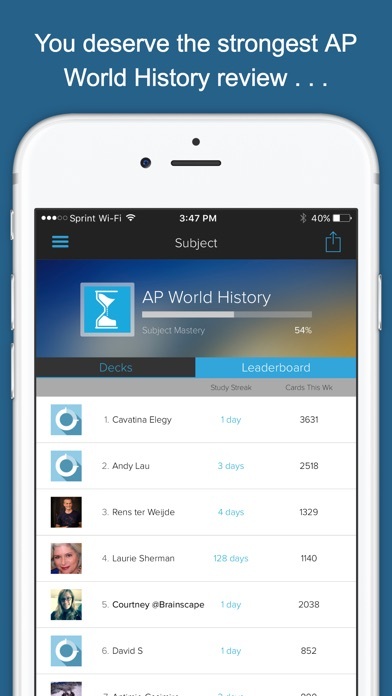 Brainscape has embarked on setting the highest standard for AP prep in the mobile community. 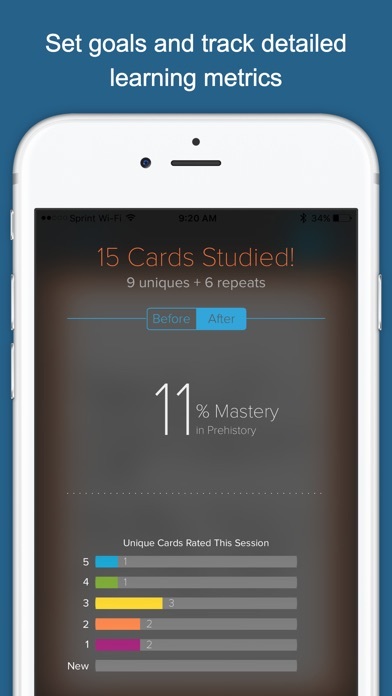 The idea is to mesh the complete College Board outline of material with clear explanations in a streamlined adaptive flashcard software, so you can study as efficiently as possible. Good luck!